With our excellent customer service and knowledgeable professionals, you won’t want to turn anywhere else for mosquito removal services in Weddington. You love the temperate climate of the Weddington, North Carolina area, but you don’t love the humidity and heat that bring mosquitos to your yard. If you’re tired of being chased out of your outdoor living space by swarms of mosquitos and you’re ready to take mosquito removal to the next level, turn to us at Carolina Turf and Mosquito, LLC. One of the main methods we use for mosquito control involves using an EPA-approved spray as a barrier treatment. This treatment option is kid and pet-friendly, and it kills mosquitos, fleas, and ticks, as well as their habitats. We can apply this solution to trees, shrubs, mulch beds, your lawn, and any other foliage where mosquitos are likely to take up residence. 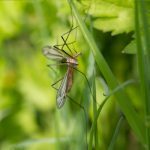 On top of this effective treatment solution, we can put a regimen in place that can help you minimize the number of mosquitos that show up in your yard from year to year. Our goal is to help you eventually enjoy a mosquito-free yard, even if that means applying multiple situations and strategies to your situation. With our excellent customer service and knowledgeable professionals, you won’t want to turn anywhere else for mosquito removal options. We’d be more than happy to tell you more about our mosquito removal options and how we can help you achieve a pest-free yard this season. Give us a call at Carolina Turf and Mosquito, LLC today to speak with one of our friendly professionals! 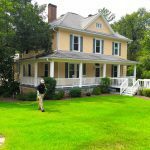 At Carolina Turf and Mosquito, LLC, we offer mosquito removal services in Weddington, Waxhaw, Charlotte, Matthews, Pineville, Fort Mill, Rock Hill, Gastonia, Mint Hill, and Pineville, North Carolina.